DAK LAK (VNS) — Deputy Prime Minister Nguyen Xuan Phuc has directed the local police to investigate the truck crash that killed six people in the Central Highland province of Dak Lak this morning. He also asked the People's Committees of the four provinces of Dak Lak, Dak Nong, Gia Lai and Kon Tum to step up patrol on the Ho Chi Minh National Road and the local road network across the region and to take strict action against any violations being reported. Apart from those measures, the municipal Departments of Transport in the four provinces were asked to conduct inspections for transport safety at all national and provincial roads running across the region. The accident occurred at about 4.15am in the Ea Drang Commune of the province's Ea H'Leo District on the National Road 14, which connects the two Central Highland provinces of Gia Lai and Dak Lak. 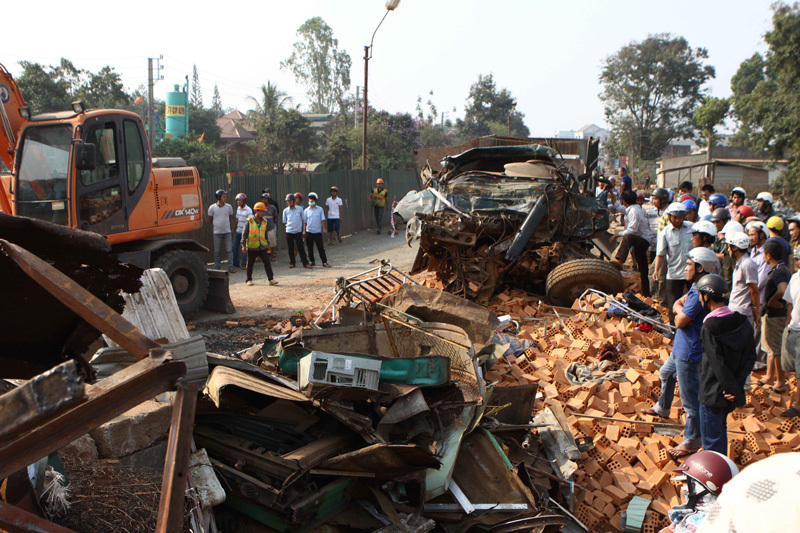 The Head of Dak Lak Province's Traffic Safety Committee, Bui Van Ngoc, said a truck with a Dak Lak registration plate, which was carrying bricks and was being driven towards Gia Lai, had collided head-on with a truck coming from Binh Duong. The National Road is currently being upgraded, so the drivers might have been over speeding as it was early morning, he said. Six people in the two trucks were killed on the spot, and one person was rushed to the hospital with serious injuries.